Delightful Read – Great Gift! Want a unique gift for the mothers in your life? This little gem has it all! I laughed, cried and found myself nodding along with this delightful collection of anecdotes, advice, and famous quotes from and about mothers. Throw in a dozen easy recipes and a colorful, creative background and you have the makings of a wonderful, re-readable keepsake. “You Might Be a Mommy If…” had me rolling with understanding laughter. 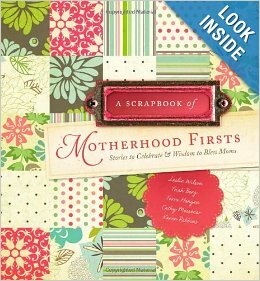 A collaborative work of five experienced authors who have lived out the joys and challenges of motherhood, this book would make a wonderful shower gift, birthday gift or Mother’s Day gift. Or even give it as an encouragement for a family member or friend who’s having a difficult time in the parental realm. I also appreciated the inclusion of adoptive parenting difficulties and victories. Laura, thank you for your upbeat review of my book. 🙂 My pleasure. I truly enjoyed it.